Rosie Thompson is an eighteen-year-old girl with her whole life ahead of her. The Homecoming Dance is just one night away and she can already feel the weight of the crown upon her head. But when she leaves her home that Friday night, it’s for the very last time. When her body is found in a park the next morning, a whole town is turned upside down and a family is torn apart. Fifteen years later, Olivia still hasn’t moved on from her sister’s murder. Not only does she still see the ghost of her dead sister, she is pursuing a career studying the very monsters that destroyed Rosie and hundreds of other helpless victims. Olivia is desperate to find closure, but a new murder with connections to her past has reopened old wounds. Nate Tucker is a successful Chicago detective. He also happens to be Olivia’s best friend. Nate has been fascinated by the Thompson case since the first time Olivia mentioned her dead sister to him. 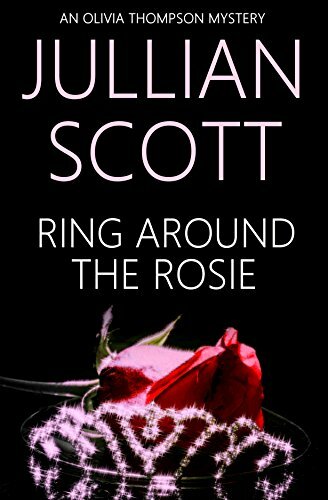 When a dead girl shows up in the city under circumstances eerily similar to Rosie’s murder, he is quick to make the connection. Now, with stale evidence and fifteen-year-old memories to guide him, Nate has the chance to solve the current murder case, as well as the death of the Homecoming Queen that refuses to stop haunting the people she left behind. Dark and haunting, Ring Around the Rosie is utterly suspenseful and surprising to the end.